Item2013.6.36.1.060.01 - Yakima Valley Traction Co. 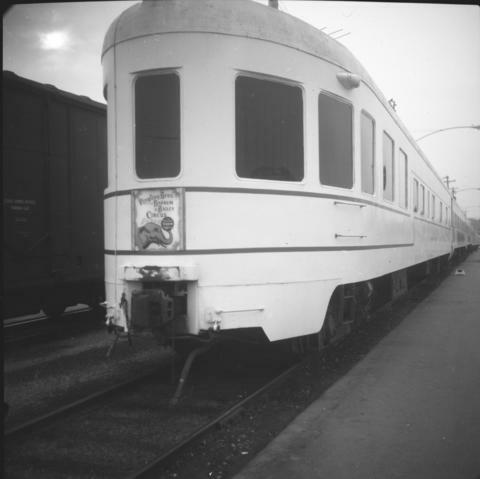 Photograph depicts a 23 car train that belonged to the Ringling Bros. and Barnum and Bailey. 19 cars were on one string on the north side and 4 were on the south side. Presumably, visible is the circus manager's car which is at the end of the train. The circus performed at the Pacific Coliseum from September 22-26. It was its 100th year anniversary.